A Portrait of the Outsider Artist: Aisling Walsh on "Maudie"
“Maudie” tells the true story of outsider artist Maud Lewis (Sally Hawkins), who was severely disabled by arthritis. She lived with her employer and later husband, Everett (Ethan Hawke), in the harsh environment of Nova Scotia. 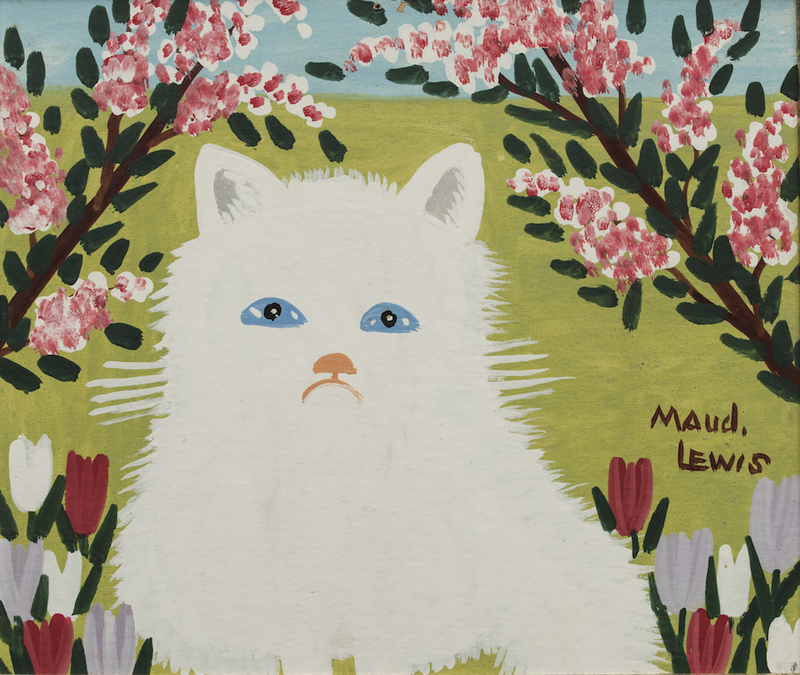 Maudie covered the walls of their tiny, isolated house with her paintings and she sold pictures and greeting cards for a couple of dollars each. The flowers and animals she painted had a purity and joyousness that brought visitors to her home from all over the world. 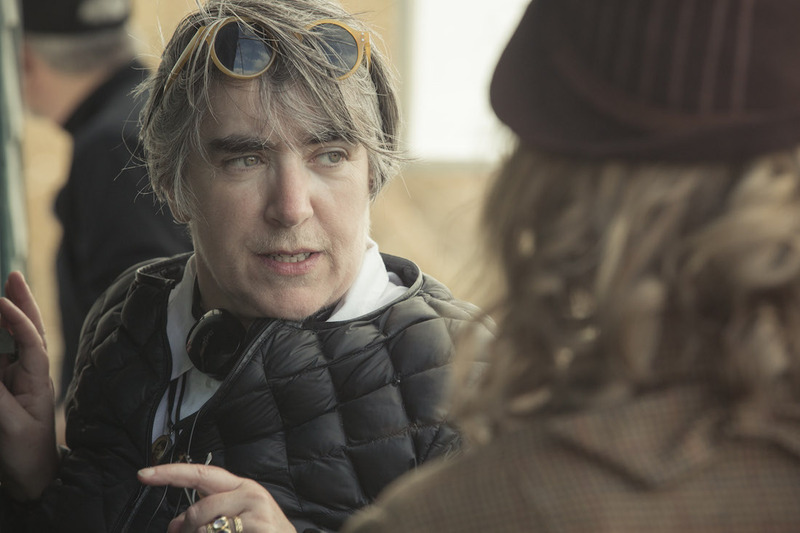 Director Aisling Walsh wanted audiences to experience Lewis’ environment as authentically as possible. In an interview with RogerEbert.com she explained how the setting, including a meticulously re-created replica of the Lewis home, was essential in telling the story and how Sally Hawkins and Ethan Hawke surprised her. Why did you insist on shooting on location? It was very important for me because it's a way I like to work. It’s not easy, though. The challenge was the fear of the weather, with typhoon season, hurricane season, snow—they get big weather. I’m Irish and my production designer is Irish and we thought we were used to harsh weather but this was different. And that’s why we had to show what it was really like. Maudie’s house exists in a gallery in Halifax, in Nova Scotia. We went and looked at it and they let us measure everything and photograph it almost forensically because we had to replicate the stove and the walls and everything. My designer and myself went back for three days to photograph things from different angles, having a good look at the tables and chairs and the floor. While we were there, we went down the sea front along the harbor to get something to eat and all along the walkway there are these shipping containers that have been cut out and made into little cafes and little shops. John said to me, “If I could get two of those and drop them on to the site and conceal them behind the sheds at the back of the house, everybody can be warm and cozy. So, that's how we did it. You couldn't have more than five crew in the house. It wasn't big enough. Did you create the house with moveable walls for placing the camera? We decided in the beginning that we wouldn't take a wall out because then the elements would come in. How would you control that? It'd take a lot of time. We did create the set of the loft in a school that we were working out of. But the stairs up to it were in the house and it had the windows so you could get a view to the world outside. Inevitably I'd be sitting squashed in the stairs looking down and it’d just be the first assistant and the director of photography and one other person. It's a really lovely way to work and that created a lot of the feeling that it was their house. The house had to keep changing over time, too, as Maudie’s artwork spread over the walls and seasons passed. Yes, in the beginning it's quite dark and dirty and bleak because Everett has been living there as a single man on his own for so many years. And then that stage finishes and the walls come out and went back in. We had four front doors: we had the painted storm door, the un-painted storm door, the halfway painted, and the screen door. Did Maudie ever see a museum? Or any other artwork? No, probably not, but her mother painted. They used to paint these little Christmas cards together when she was a teenager and a young woman. And then I just think she soaked up whatever was around her. The bluebirds that she painted—they are a reference to a biscuit tin that they would've got as a present at some point with bluebirds all around the side of the tin. They had calendars from a local shop, and they're still in her original house. You can see that she got some ideas from there, too. She loved nature and flowers. It’s how she saw the world. Her own spirit is in that work. And the simplicity reflects her circumstances. She never mixed colors. Her paints were all household paints, thrown out or given to her. Her finest work of art for me is the walls of the house, developed over 35 years, and the front door. Were you able to talk to people who knew her? There's a big collector of her work who helped us a lot in the film. He is an English man who came to live in Canada in the late '50s as a schoolteacher. He was at dinner one night at these people's house, and saw a picture on the wall that he really liked. They said “Yeah, that's a little old lady down the road. You should go and see her.” He met her quite a few times and he went back after she died to see Everett. One of my casting directors, too. His family had a painting or two of hers and he remembers going there as a child. When you make a film about real characters, you're trying to honor the people. We were fortunate to have a little reference from that documentary footage that you see at the end, so we could hear how she and Everett spoke and see how she moved. The film really conveys the power of expressing yourself through art. One of the reasons I really wanted to make the film was because she was a woman artist trying to be creative and I'm studied painting and I am a huge admirer of women artists, painters like Georgia O’Keeffe and Frieda Kahlo. I love the simplicity of her work and beauty in her work. And then on top of that you have this amazing story of how this woman changes this man's life. Ultimately, it's a love story and how that relationship changes over the years. I'm always interested in a story about somebody's marriage and the dirt and the good times and the bad times and the not-so-great times. You’ve worked with Sally Hawkins before. What made her right for this role? I know her work and I've seen her in the theater and we're friends. We were trying to find something to do together. After I finished the script, I got online and I saw a picture of Maudie and I thought, “My Sally will be able to do that. She will transform herself.” And she did. It took a huge amount of work on her part. First, she said she wanted to paint, and I thought, “Well, that's great cause I'd love it.” And so I found this naive artist society in England to help her learn how these paintings were put together, what Maudie would have painted first and so on. Sally and herself used to meet in a church hall in the center of London, and they'd paint together once a week. And she had to work out Maudie’s posture and movement. She started with that little limp. That's barely noticeable and when she gets nervous it's more noticeable. And she was more affected over time, and then got emphysema, and Sally had to understand how all of that affected the way she stood and moved and held the paintbrush and breathed. 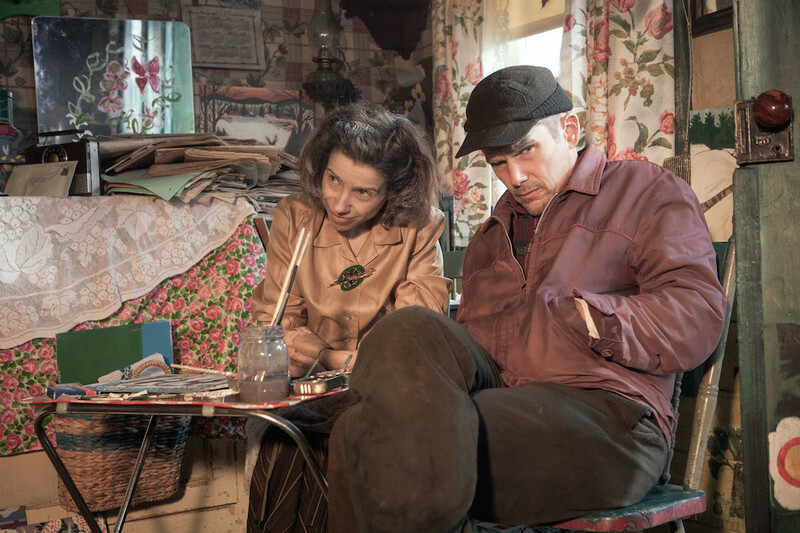 Did Sally Hawkins and Ethan Hawke work together to develop the relationship between Maudie and Everett? Yes, and also we shot in chronological order, which helped them show the way the relationship changed. And they would improvise. There's a scene where he's sitting on the step and she's standing and she's painting a white cat and she says, “Do you like my pictures?” and he says, “Yeah, I suppose they're okay.” And then he starts to sweep and the dust is going up and she goes, “No, no, mind my picture.” That was never in the script, but you keep rolling and she goes, “Mind my picture, mind my picture,” and he's going, “Oh, whatever,” and then she closes the door on him and then you see him looking out at her. You can’t script that. There’s another lovely moment with Ethan when the doctor comes. It's one of my favorite scenes in the film. He's sitting in the corner with his hat kinda pulled down like men in those days did, very uncomfortable with the doctor there and worried, and then he comes over with a china cup for her to drink out of and you think, “This is the guy who slopped food out of a bowl when we first met him and that's how he’s changed.” You find those moments as you're filming if you're working in the way that we worked with people like Ethan and Sally, who are so deeply involved in it. Does it make a difference to have this story of a woman artist directed by a woman? There was a male director attached to direct this originally. Time moved on and he went off to do something else and, and they got me and that changed maybe a lot about the film. But maybe the difference is that it got made because a woman did not give up on telling the story.